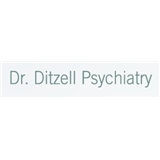 Dr.Ditzell Psychiatry, PLLC (New York) - Book Appointment Online! Dr. Jeffrey Ditzell opened his private practice with the goal of providing his patients an extra level of care and compassion. He is aware that every patient is different and manages treatment with that in mind; he works to get to know his patients and find the best treatment approach for each specific condition and situation. Dr. Ditzell's goal is to help get you better - to help get you through whatever turmoil you're facing, to help you lead a life of fulfillment and happiness. People suffering with mental illnesses, addictions, and emotional distress need a doctor who is capable and can offer a quick response, and Dr. Ditzell does just that. He has business hours every day by appointment, with flexible weekend and evening hours to accommodate patients' work schedules. Dr. Jeffrey Ditzel is an Adult ADHD Psychiatrist in New York City.